9Lives brand cat food is manufactured by the Del Monte Food company, which is based out of San Francisco, California. Del Monte Foods also manufactures canned goods, as well as other pet foods such as Pounce, Milk-Bone and Kibbles n' Bits. Del Monte Foods was first named in 1916, when a California canning company (California Fruit Canners Association) began expanding to various venues. 9Lives brand cat food is best known for its TV mascot, Morris the Cat. Though many pet food brands were affected by the recent FDA pet food recall, none of the 9Lives brand products are currently on the recall list. 9Lives brand cat food is currently available in four different dry formulas, as well as several different canned formulas. 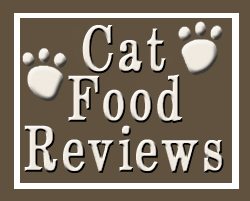 9Lives advertizes their cat food products as being a good source of nutrition, as they contain Taurine and Omega 3 fatty acids. However, one could note that these ingredients are usually included in all cat food formulas. All of 9Lives brand cat food formulas contain corn, wheat, animal digest and other ingredients not usually associated with premium feline nutrition. 9Lives brand cat food is available in an 18oz box, a 3.5lb bag, a 6.5lb bag, and a large 18lb bag. 9Lives Daily Essentials cat food formula is designed for cats in all life stages. The first five ingredients of this formula are ground corn, poultry by-product meal, corn gluten meal, soybean meal, and wheat. Other ingredients include animal digest, bone meal, salmon, beef and pyridoxine hydrochloride. The Guaranteed Analysis of this formula contains 31% Protein and 9% Fat. 9Lives Plus Care: Grilled Tuna and Egg Flavor cat food formula is designed for senior cats who are seven years of age or older. The first five ingredients of this formula are ground corn, corn gluten meal, poultry by-product meal, whole wheat and animal digest. Other ingredients include salt, meat & bone meal, tuna meal, choline chloride and copper sulfate. The Guaranteed Analysis of this formula contains 31% Protein and 9% Fat. 9Lives Active Formula: Beef Tenderloin and Roast Turkey Flavor cat food formula is designed for cats with a moderate to high activity level. The first five ingredients of this formula are ground corn, poultry by-product meal, soybean meal, meat & bone meal and corn gluten meal. Other ingredients include animal fat, animal digest, wheat gluten, caramel color and glycerine. The Guaranteed Analysis of this formula contains 34% Protein and 11% Fat. 9Lives Growing Years cat food formula is designed for growing kittens, though can also be fed to adult cats. The first five ingredients of this formula are corn gluten meal, soybean meal, whole ground corn, poultry by-product meal and wheat. Other ingredients include turkey, animal digest, salmon meal, caramel color, alfalfa and potassium sorbate. The Guaranteed Analysis of this formula contains 34% Protein and 14% Fat. Most consumers do not view 9Lives brand cat food as a healthy cat food. It is fairly inexpensive, though contains a lot of corn ingredients. In addition to this, artificial colors, flavors and preservatives are used in 9Lives brand cat food formulas, which most pet owners did not like. Some cats are reported to have digestive problems, or allergic reactions to 9Lives brand cat food products. I have cats with multiple problems; one with pancreatitis, one with hyperthyroid and one with diabetes. The vet has recommended for the pancreatitis a dry fat weight of no more that 17% in any food. For the diabetic, a high pfotein, low carb food and the other to just deal with his allergies (wheat, shrimp, beef anon them). So you make any dry or canned foods that meet these needs? This stuff is absolute garbage. I stopped feeding to my cats years ago. The dyes alone cause multiple problems. Best food brand I have found is Eagle Pack. Have to go to a local independent pet store to get, but its well worth the trip. I want to lodge a complaint. I bought 9 Lives catfood this last time around and got it from WalMart. I was half way through the bag and kept dipping out scoops of catfood “webbed” together. My cat turned up her nose, not to say I blamed her. This is the second time I have had this happen. The first time I had Friskies brand and I threw it out and was storing it in a sealed comtainer in the shop and brought only in ans much as I used in a wekk. So, this time I brought in the bag and It got the webbing in it as well. What is going on. I have seen this same type of webs in old bird seed when I worked at Lowes in the garden dept. and we sent it back to the vendor. eventually, if it was not pulled from the shelf, as some more unscrupulous employees will not rotate the stock and push the old to the back of the shelf, it would hatch some kind of moths and weevils. So what is up? Do I have to give $30 for a bag of catfood to get something I don’t have to worry about giving to my cat? 9 Lives cat food is a waste of money and time and will only further (if not, then CAUSE) the deteriorating health of your animal. Meal, wheat, corn, by-product, and dyes are NOT things you should be feeding your animal, and are things that most animals are highly allergic to. The wet food is filled with COOKED bones and scales, which are beyond dangerous to your cats! And before people start going on about how ‘cats do eat those things in the wild”- yes, they do, but RAW bones and scales. And they don’t go OUT to purposely consume them, they just happen to go down with the meat every once in a while. What people don’t understand is cats do not CHEW their food. They rip and swallow it, occasionally breaking down a piece with one or two ‘chews’, but generally it’s ripping and swallowing. So giving them a can of wetfood with bones and scales in it, food they know they don’t have to rip but just swallow, is just asking for an accident. The best foods to feed your pet are Innova, Wellness, and Blue Buff. They’re quality foods with quality ingredients and only MEAT in the list, no ‘by-products’ or ‘meals’. Yes, they’re expensive when bought, but the price comes out to be the same as the cheap stuff in the long run because you’re feeding LESS to them. Instead of the 1 cup your cat would require with regular store-brand cat food, they only need 1/4 a cup A DAY of Innova, Wellness, or Blue Buff. It’s worth it, and your cats will love you for it. I can’t believe people who are privy to other information feed their pets this stuff. I cant believe companies make this stuff. Feeding your cats Taste of the Wild and Blue Buffalo will end up costing the same with the amount kitty eats. Your vet bills won’t he high either. Your litter box won’t overwhelm the house anymore. The cats breath won’t be bad. Most of all kitty will be better off. Sorry, I love my cat and she gets nothing but the best, 3-4 brands mixed of high quality kibbles like Royal Canine, Taste of the Wild, Max Nutro, Wellness and Avoderm for free feeding (she is still under 1 year). In addition I feed her a can of wet daily and an occasional raw or home prepped protein on the side. Expensive but my cat is worth every penny.